On October 3, 1889, German pacifist and Nobel Laureate Carl von Ossietzky was born. He received the 1935 Nobel Peace Prize for his work in exposing the clandestine German re-armament. In the course of his publications of Germany’s alleged violation of the Treaty of Versailles by rebuilding an air force he was convicted of high treason and espionage in 1931. Carl von Ossietzky was majorly raised by his sister, since their father passed away early and their mother worked most of the time. Still, he was able to attend school at seven. 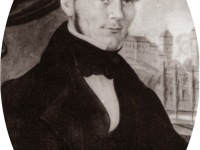 When he moved in with social democrat Gustav Walther, his political interest increased, he attended speeches of August Bebel and was impressed. 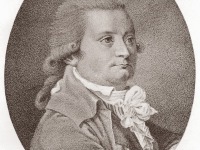 Often, Ossietzky left school early to read Schiller or Goethe and even when he started working in his first job for the administration of justice, he enjoyed theater visits and long reading nights. Next to literary aspects, Ossietzky believed in science, technology and their ability to improve overall living conditions and followed the works of Ernst Haeckel. 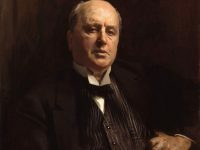 Ossietzky’s interest in political journalism grew, he started publishing for a democrat weekly newspaper in the early 1910s and soon raised attention by governmental officials. Often, his articles criticized public organs and his journalist life was no longer suitable for his administrative career, wherefore he quit. But the war reached everyone and his pacifist ideas and articles made it hard to support his life. Ossietzky was sent to war in 1916 and when he came back, he started criticizing Haeckel, monism and attempted to start a professional journalist career in Berlin. Along with Kurt Tucholsky, Ossietzky founded a peace community for former war veterans and kept fighting for a democratic republic through articles, lectures and poetry. He wrote about social industries and claimed a better public welfare. Kurt Tucholsky supported Ossietzky’s wish to work for ‘Die Weltbühne‘, a weekly newspaper, of which they later became publisher. An important period in Ossietzky’s life became the lawsuit considering an article on illegal actions by the Weimar Republic army and he was sentenced to 18 months of prison. He was released early but arrested again by a Nazi soldier in 1933 for his commitment to pacifism and democracy. His and Tucholsky’s writings were burned on May 10 of the same year, and Ossietzky faced imprisonment in a concentration camp. 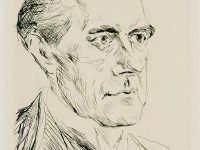 In 1936, he was sent to a hospital with a heavy tuberculosis but two years later, political friends Ossietzky’s claimed to honor him with the Nobel Peace Prize. After a long campaign, Ossietzky was actually awarded the price but unable to attend the award ceremony. Adolf Hitler then decided that no German would be allowed to receive this honor again. Carl von Ossietzky passed away on May 4, 1938. At yovisto, you may enjoy the interview with Ellen Johnson Sirleaf. She is the Nobel Peace Prize winner of 2011 and was fortunately able to attent her award ceremony. The president of Liberia, was named one of three winners of the 2011 Nobel Peace Prize, in honor of her work promoting nonviolent change and her support of women’s rights.